We built our reputation as one of the best plumbers’ merchants across the Kent area, and we have a comprehensive range of bathroom, heating and plumbing components in stock. Whether you’re a large company or a sole trader we can supply what you are looking for: boiler spares, circulating pumps, copper fittings, copper tube, ‘Polypipe’: everything you could need. We are famed for our great service and quick turnaround, making us your number one choice for plumbing components. Give us a call beforehand, or drop us an email at sales@townsmerchant.co.uk and we can put stock items aside for you, making collection quick and straightforward. 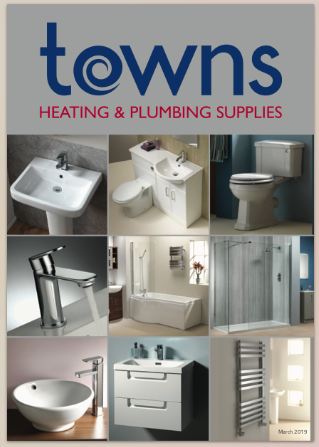 See our Towns Merchant brochure below which is available to view or download. Please wait whilst the brochure loads and then click on the expand button to view full size: Your browser does not seem to support iframes. Click here to read this PDF.